Taking a holistic approach to transportation planning improves quality of life and promotes better health for everyone in Central Florida. Transportation professionals work with health, housing, parks and other community areas to create healthy, sustainable, inclusive places. 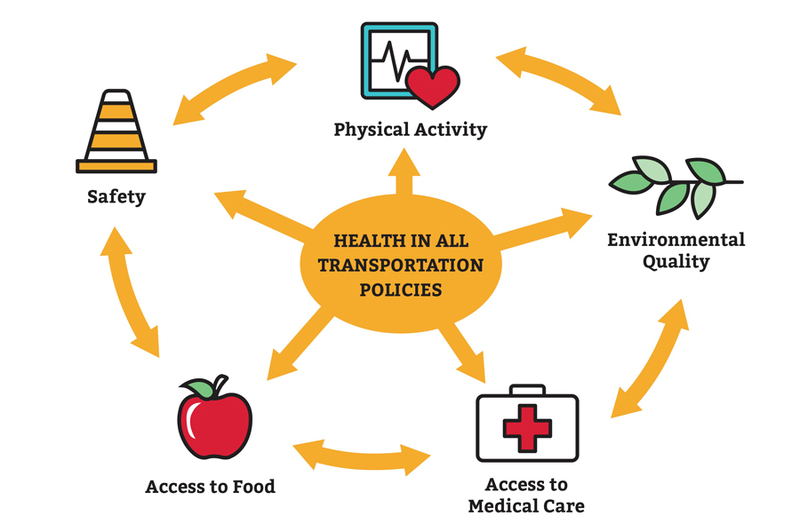 MetroPlan Orlando uses its Health in all Transportation Policies initiative to advance transportation options that improve our quality of life. MetroPlan Orlando recently completed an 18-month applied research project, using the Federal Highway Administration’s Infrastructure Voluntary Evaluation Sustainability Tool (INVEST) guidance. The project resulted in the publication of three white papers. Housing: A primer for transportation professionals in Central Florida – Housing and transportation are often a person’s two biggest expenses, yet these sectors usually conduct their work independently. This report discusses how transportation and housing work together now, and transportation’s role in Central Florida’s current housing issues. Tran$formation: Funding healthy and sustainable transportation options – Transportation funding is inherently complex. This report is a plain language guide for how we fund transportation today and ways we can fund it tomorrow. Framing the Future: Preparing MetroPlan Orlando to enhance Central Florida’s quality of life – Healthy communities require collaborative institutions. This report analyzes how MetroPlan Orlando can help improve quality of life in Central Florida. The information in these white papers grew – in part – out of the Transportation Think-In: Making 2045 Healthy, Sustainable, and Resilient. This February 2018 event gathered 60 community leaders from non-transportation fields to talk transportation. MetroPlan Orlando is responsible for several documents that guide transportation policy and funding across Central Florida. We strive to ensure that each document advances community health objectives. One way we do this is through monitoring and evaluation. Each year, we analyze how much of our Transportation Improvement Program – our 5-year capital funds plan – is allocated for projects that support healthy behaviors. In FY19-23, we expect to spend $669 million on projects that encourage more walking, biking, and transit use. For more information on MetroPlan Orlando’s efforts in this area, contact Elizabeth Whitton, AICP, at 407-481-5672 x312 or ewhitton@metroplanorlando.org. Info on projects, safety and planning for pedestrians.